“Highclass, elegance, nobility, humanity” … All is reflected deeply in the highclass eco-villa system side of lake Paradise Dai Lai Resort – second home for success people. Paradise Dai Lai Resort is located on a travel community with area of approximately 50ha side of the Dai Lai Lake and is favoured by ideal natural environment with more than 525ha of water and thousands hectares of forest with rich ecosystems. Geographical position is favorable in the capital region, far away from the center of Hanoi Capital 40km, the Noi Bai International Airport 15 km, in the economic corridor of Kunming – Lao Cai – Hanoi – Hai Phong – Quang Ninh , With the transport system as road traffic, railway, and air traffice ara convenient. Planned by the renowned architect of France and Vietnam’s leading experts with unique ideas. Construction supervision – Ministry of Construction: Vietnam Consulting Industry and Urban Construction Company (VCC). – Certificates are granted long-term land-use rights. – Paradise Dai Lai Resort is first class and luxury resort in North Vietnam. It is the ideal combination of houses and villas weekend. – Opportunity to own luxury eco-villa and the private marina only at Paradise Dai Lai Resort with ideal location, unique landscape, modern infrastructure, synchronous, science, great quality life, really “Highclass, elegance, nobility, humanities” for each family. 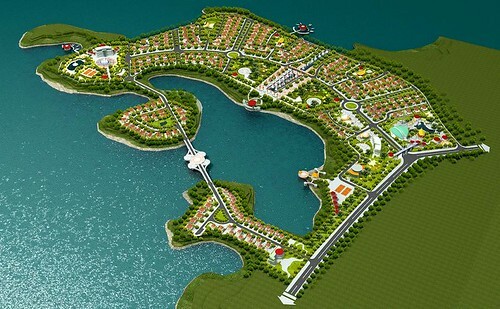 – Capturing investment opportunity, catch in front for the real estate market with an new exciting product at Vietnam. – Paradise Dai Lai Resort Community brings you real value, growth opportunities and promotion of economic, political, social. 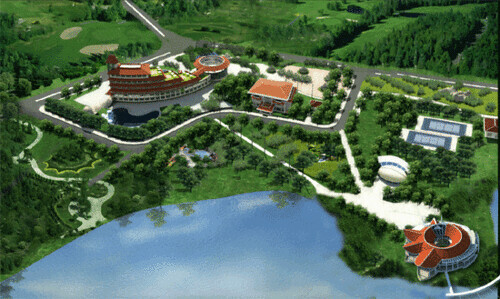 – Build Paradise Dai Lai Resort becomes a quality of lived space, meeting housing needs, eco-hostel for families with highclass ecological villa chain is surrounded by magnificent natural landscapes middle of the lake and water, infrastructure meets the standard and adequate facilities (amusement parks, swimming pool, parks, sports centers, food, restaurants, supermarkets, banks, Internet , the digital world, kindergarten, clinic, professional security staff 24h/24h …). – Build Paradise Dai Lai Resort becomes a civilized society, a community of real “Highclass, elegance, nobility, humanity” – a symbol for prosperous world. Add: #1908 – Vuon Xuan Tower, 71 Nguyen Chi Thanh Street, Ha Noi. Tel: 84.313.385 6366 – Fax: 84.313.385 6388.